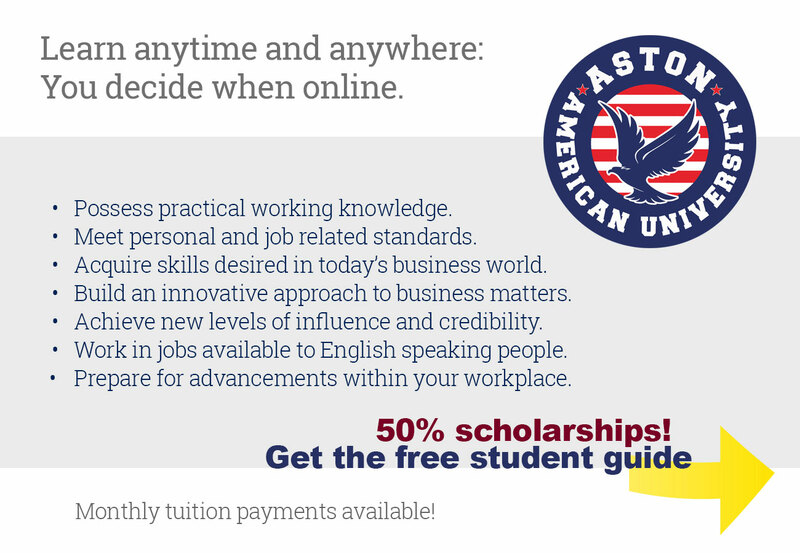 Aston American University delivers an attainable online higher education that inspires students from all over the world to connect their e-learning experience to practical real-world skills. Many of our students are actively involved in building their careers. Aston American University can offer students opportunities to better, fulfilling jobs and higher wages with educational programs that are applicable in real, work-life settings. Whether students are young professionals, working parents, or executives looking to advance – we provide all the tools and techniques necessary to compete in today’s global market. We continually strive to ensure that our students’ educational journey is customized for their personal background and career goals. Aston American University is the door to opportunity. All you have to do is open it. Programs from Aston American University are ideal for working professionals by conveniently catering to busy schedules. Join other professionals from all over the world and earn a recognized American degree from Aston American University. • Receive support at every stage of your degree from our academic advisors. 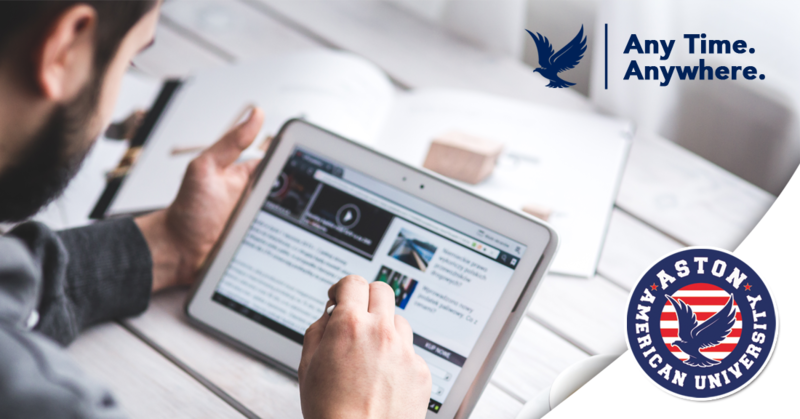 Our executive program offers a nurturing approach with private instructors who will monitor your academic progress. Instructors are available to guide students throughout their coursework, homework assignments, and exams. A student’s life experience is considered when enrolled in any program at Aston American University. Expect less theory work, but relevant industry practices to apply right away. Apply to Aston American University and make a valuable contribution in your field and in your community. Why Choose Aston American University? Imagine being able to work in jobs that are commonly available to English speaking people. Envision you have the choice to choose a job that will give you higher earnings and picture yourself being able to clearly communicate your needs to live a fulfilling life. Your ability to speak, write, and comprehend English would affect your productivity in life and subsequently, earning potential. Recent studies have shown that non-English speakers working in the United States who have resorted to strengthening their English with education have increased their quality of life. Good communication, is, therefore, critical. The Master of Business Administration (MBA) program is for those who seek graduate level understanding in business matters.